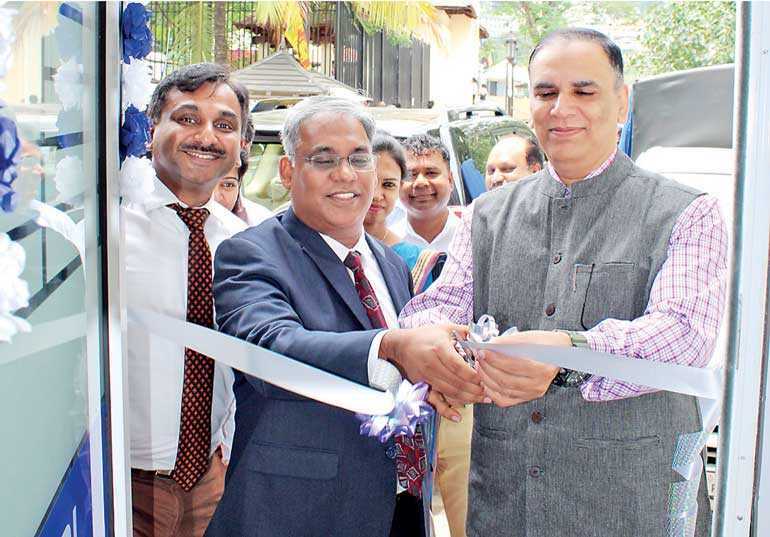 State Bank of India opened its third ATM as part of its expansion of retail footprint in Sri Lanka at Kandy branch on 29 August. The location of the ATM is adjacent to the Temple of the Tooth Relic at 15/1 Temple Road, Kandy. Assistant High Commissioner of India, Kandy, Dhirendra Singh along with the SBI Country Head Rajeev Ratna Srivastava attended the occasion as advised by SBI Sri Senior Vice President Hemant Jaiswal Lanka. With the Common ATM Switch (CAS) operational in Sri Lanka, customer of any bank will have the access to SBI ATM. Hence, this ATM will be useful to local and foreign visitors to the Temple. SBI has been serving Sri Lanka since 1864 and has been mainly into servicing the corporate sector of Sri Lanka. The bank has recently entered the retail segment and is now offering many attractive loans and deposit products at very attractive terms and pricing. Jaiswal updated that SBI Sri Lanka is in the process of upgrading the two existing ATMs to cash recyclers which would mean that customers of SBI Sri Lank will have the facility of 24*7 deposit into their accounts along with 24*7 withdrawal facility. The upgrade is expected to be in place by the end of October.